I learnt in the last day or so that my application to commence studies in the Master of Wine programme has been accepted. This is very much only the beginning, and the path ahead is not a simple one to progress from “MW student” to “MW”. Nonetheless, a small step has been made, and I am afraid its immediate consequence probably will be that I shall be posting more regularly. For those interested, the entry process involves various steps, including two exams, one a tasting exam of wines able to be selected by the candidate and the second, a written exam from a couple of choices; in my case, I selected a question relating to some aspects of winemaking. The wines for tasting were (i) a Sancerre from the Loire Valley (20-25 GBP) from the 2013 or 2014 vintage, (ii) an unoaked New Zealand sauvignon blanc (8-12 GBP) from the 2014 or 2015 vintage, (iii) a cabernet dominant cru bourgeois (20-25 GBP) from the 2011 or 2012 vintage and a (iv) California cabernet sauvignon (8-12 GBP) from the 2013 or 2014 vintage. 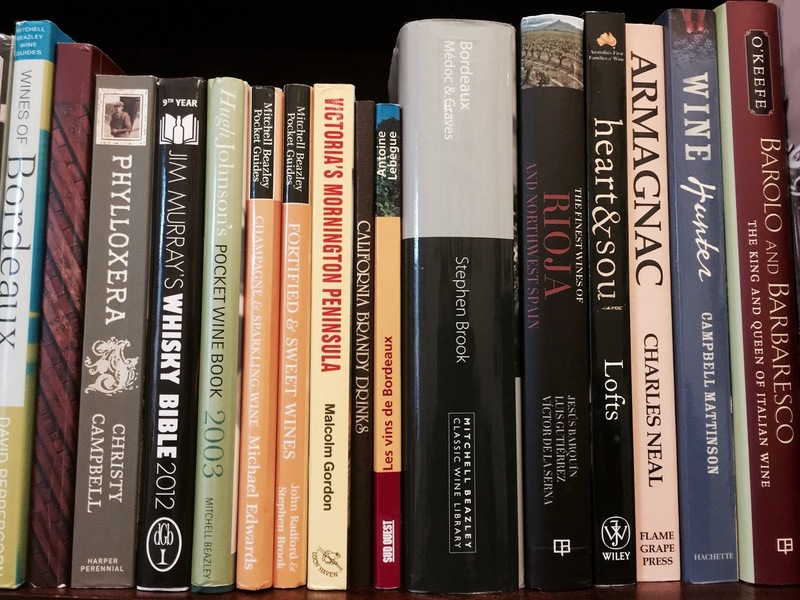 Wines (i) and (ii) proved particularly easy to source in Australia. Wine (iii) from Bordeaux was harder than I thought it would be to source. Bordeaux at higher and lower prices from these vintages seemed more readily available in Australia, and I got more than a few quizzical looks as to why I was overlooking the stronger 2009 and 2010s on the shelves. I knew wine (iv) from California would be very difficult indeed to source, let alone from only 2 specific vintages. Nearly impossible proved to be a better description, but after a trip quite some distance which proved justifiably unpopular, a few were tracked down. Congrats Sean, the longest journey starts with the shortest step.I, for one, look forward to an increase in postings. Nice work mate. I hope you're the one that finally breaks the long Aussie male MW drought! Costco may be an answer in future for purchasing some of those difficult to acquire wines. They always seem to have an abundance of Bordeaux and US wines. Congratulations Sean! This is a great achievement. Thank you for the kind words; I am looking forward to it 🙂 Costco funnily enough is where I managed to find the Cali cab. A surprisingly interesting collection.